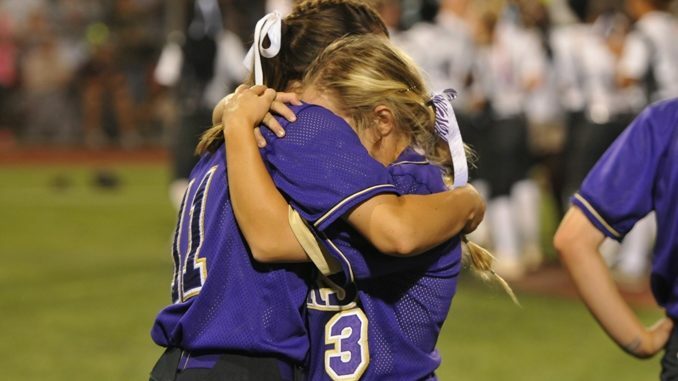 Bayleigh Baudouin and Danielle Duplay after an emotional championship game loss in Sulphur. 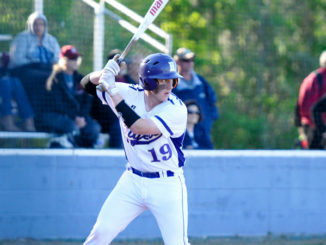 It was a cruel twist of fate that ended what had been a dream season for Hahnville Saturday night, as Ouachita Parish rallied back from a 7-0 deficit to capture a 10-9 victory in the Class 5A championship game in Sulphur. The second-seeded Tigers (33-4) scored three runs in the first inning and four more in the second to jump out to a 7-0 advantage. But 11 Ouachita batters came to the plate in a six-run third inning that turned the tide in favor of the top-seeded Lions (30-3). Ouachita took the ball up the middle time and time again in that inning, a combination of ground balls, choppers, bloop hits and timely hard contact that added up to a big inning. Tiya Randle’s RBI single in the bottom of the fifth inning tied the game for Ouachita. Abby Allen’s RBI double pushed the Lions ahead 8-7, and subsequent RBI singles by Jordyn Manning and Tailor Lenard extended the lead to 10-7. Hahnville fired back with a pair of runs in the top of the sixth on an RBI double by Kamryn Keller and a Bayleigh Baudouin run off of a wild pitch. 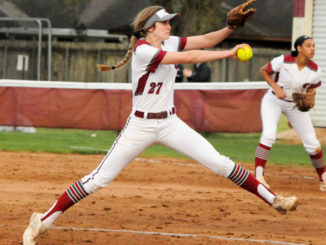 But in the seventh inning, Ouachita pitcher Allie Ellerbe retired the Tigers’ side in order to put the finishing touches on a wild game. Ouachita Parish’s Alyssa Allen earned MVP honors on a night she went 4-for-5 with two doubles and an RBI. Ellerbe went 3-for-4 at the plate. Bayleigh Baudouin went 3-for-4 with a triple and four RBIs for the Tigers. Danielle Duplay reached base four times and scored three runs. 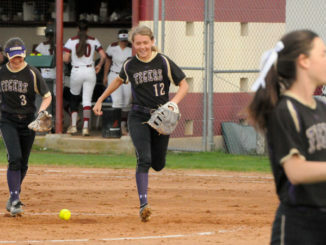 Earlier in the day, it was Hahnville’s own rally that propelled it to the 5A final, the Tigers erasing a 3-0 Sam Houston lead to tie the game before Sarah VanEtta became the hero, blasting a walkoff two-run home run to lift her team to the 5-3 semifinal victory. VanEtta is one of six seniors who Nugent called the backbone of a Tigers program that climbed to a ranking of No. 3 in the nation earlier this season, went unbeaten in district play, won 24 straight games against a slate heavy on top ranked competition and shattered school records in home runs and runs scored, among numerous others. As great as his senior players were, Nugent said, they’ll be missed even more as people. 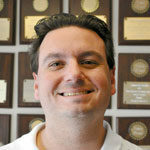 “They’re gonna be hard to let go,” Nugent said. “This is just a special group.